We hear a lot these days about the need for protection of intellectual property, but is there another side to the coin? Most people are exposed to counterfeit consumer items at some time, even if inadvertently. Who’s to know whether a bag you got for your birthday was a Louis Vuitton, and do you care? You probably do, but isn’t it surprising how pirates can produce something which appears just as good, for a fraction of the price? Are we as consumers the ones being had by the global brand owners and their marketing millions? What’s wrong with the impoverished classes in (mostly) Asian countries trying to make a dollar, and creating a market that would not otherwise exist? Isn’t this the true spirit of free enterprise? Unless you have interests in a multi-national consumer brand, you might tend to agree. It’s not a perfect world after all. There are signs the courts are taking a more sceptical view of heavy-handed legal action by Big Business. Recently, the majority of the Constitutional Court of South Africa (equivalent to our Supreme Court) allowed an appeal by a purveyor of parody T-shirts on the basis the trade mark owner had not established any likelihood of economic prejudice from the alleged trade mark infringement. A journalism graduate took on several South African corporate giants by creating and selling T-shirts bearing parodied images and words brazenly taken from his victims. For example, SAB Miller’s ‘Black Label’ beer brand was transformed into a ‘Black Labour’ logo. The concurring minority judge added the parody was “legally and constitutionally permissible…[he] could see no reason why a joke against the government can be tolerated, but one at the expense of what was called Big Business, cannot”. What has this got to do with Kiwi businesses? If you are not an owner or licencee of brands prominent enough to be a target for thieves or parodists, surely this sort of thing doesn’t affect you? Well, if you want your business to grow, you need to consider the big picture. Before merchandising arrived, the purpose of a trader’s mark (ie, trade mark or brand) was as a badge of origin and an assurance of quality. For this same reason, protection of the business’s brand and reputation is as important to the smallest enterprise as an international super brand. It is worthwhile stepping back and thinking about your business as if it were a global brand. Develop a branding strategy and budget for pre-emptive protection measures as your business expands. Always be ready to react quickly if competitors genuinely threaten your brand. 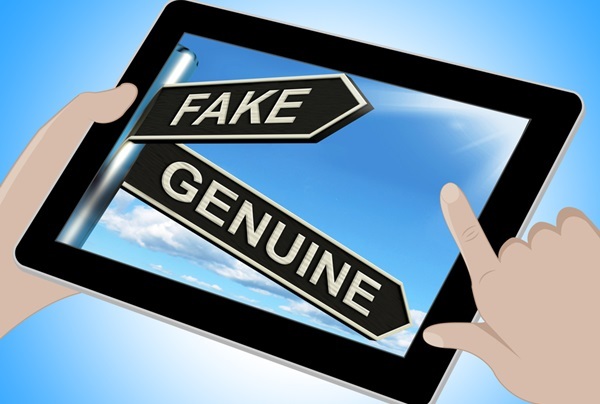 For our businesses trying to establish themselves on the global market, it’s wise to tread carefully and take all necessary steps to protect yourself from counterfeiting. Register your trade mark in every country where you intend to market and sell goods or services. Take the time and care needed to establish your brand as representing a worthwhile and unique product. Even tolerating rip-offs by others as a consumer can affect the climate your business operates in, in subtle and unforeseen ways. For example, diplomas and other certificates are eminently forgeable. It’s not a quantum leap from a counterfeit DVD to a forged qualification or residency certificate presented to you by a job applicant. It’s important to have a sense of humour, but it’s better if the joke’s not on you. If you’re in the business pages accused of over-reacting to threats to your brand, you’ll know you’ve arrived!